The Muslim Public Affairs Council (MPAC) reposted an article Wednesday suggesting that convicted terrorist Tarek Mehanna was just exercising his freedom of speech, and that Muslims have a right to kill American forces in Iraq. 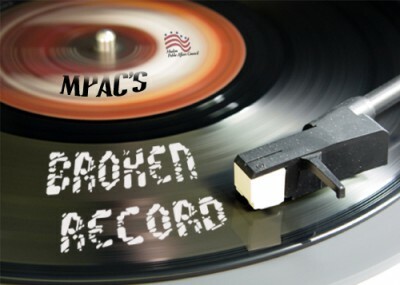 The article, linked from MPAC's Facebook page and Twitter feed, echoes dozens of previous statements by the group, which has a history of rejecting terrorism convictions, justifying terrorist acts, and accusing America of fighting a politically-motivated campaign against Islam. MPAC posted a link Wednesday to Marine veteran Ross Caputi's article, "Tarek Mehanna: Punished for Speaking Truth to Power," originally published Monday in Britain's Guardian newspaper. Caputi argues that Mehanna's conviction is anti-Islamic, as are other terrorist trials involving Muslim Americans. "Mehanna is being punished for his ideas, and the case against him stinks of a lynch-mob mentality," he writes. "The Islamophobia that still grips the US has often resulted in a hysterical witch-hunt for 'radical' Muslims, of which Tarek Mehanna is the most recent victim." Caputi also agrees with Mehanna "that much of what the US military has done in Iraq and Afghanistan can be characterized as terrorism, and I support Afghans and Iraqis who fight back against us." Caputi's politically-charged commentary aside, Mehanna's conviction for providing material support to terrorists and lying to the FBI is a serious case. "The crimes the defendant have been convicted of are among the most significant in the criminal justice system," said federal prosecutor Aloke Chakravarty during the sentencing phase. "When you aspire to take up arms against your country, it deserves severe penalties." Like Caputi, MPAC has been willing to excuse terrorist attacks against Americans. A 1999 paper called the 1983 Hizballah bombing of a U.S. Marine barracks in Lebanon during a peacekeeping operation, "a military operation, producing no civilian casualties – exactly the kind of attack that Americans might have lauded had it been directed against Washington's enemies." Other MPAC policy papers have criticized the presence of Hamas, Palestinian Islamic Jihad (PIJ) and Hizballah on the U.S. list of terrorist groups. Washington's "preoccupation" with Hamas and PIJ "raises the question as to whether targeting Palestinian groups serves true national security interests or is based on political considerations," MPAC said in 2003 paper which remains on the MPAC website. The group has also repeatedly defended terrorists and their financiers. Most recently, MPAC took issue with the U.S. targeting of American-born cleric, Anwar al-Awlaki, who was killed Sept. 30 by a U.S. drone strike in Yemen for his role as an al-Qaida ideologue and facilitator of attacks against America. MPAC rejected Awlaki's message of violence in an article, but challenged "the killing of an American citizen without a trial and due process." In 2001, MPAC criticized the Treasury Department designation of the the Holy Land Foundation for Relief and Development (HLF), for its Hamas fundraising activities. The Islamist group accused the U.S. government of "taking food out of the mouths of Palestinian orphans," "succumbing to politically-motivated smear campaigns by those who would perpetuate Israel's brutal occupation" and waging a war on Islam. MPAC also defended The Benevolence International Foundation (BIF), which was designated for helping al-Qaida establish its presence in the Sudan, Bosnia and Chechnya. In a 2002 column for the New York Times, Salam al-Marayati protested BIF's shutdown, saying that the action was counterproductive. "The government's policy has inflicted considerable harm," he said. "By effectively shutting down these charities, it has given Americans the false impression that American Muslims are supporting terrorists." MPAC was outspoken in its support for convicted terrorist Sami Al-Arian throughout his arrest and trial, claiming that Al-Arian was being unfairly targeted by law enforcement and special interest groups. "Our community is in dire need to understand how these charges [against Al-Arian] are founded on concrete evidence of criminal activity and not guilt by association or political considerations," said MPAC Senior Advisor Maher Hathout following Al-Arian's 2003 arrest. Despite pro-terrorism statements like these, MPAC has successfully used its moderate public image to gain political and social clout. Last August, Washington, D.C. office director Haris Tarin attended the White House Iftar Dinner, President Obama's 9/11 Memorial at the Kennedy Center, and Secretary of State Hillary Clinton's Eid ul-Fitr reception at the State Department, which was planned to commemorate the conclusion of the month of Ramadan. Also last year, al-Marayati attended the White House Iftar Dinner and MPAC intern Saaliha Khan had the privilege of sitting at President Obama's table. In addition to the White House and State Department outreach to MPAC, the group has also engaged with the Department of Justice, the FBI, and the departments of Defense and Homeland Security in the last few years. These meetings have generally been directed towards allowing MPAC to voice its concerns and fostering a working relationship with these government organizations. How can one differentiate from MPACS's views from that of the Obama administrations?